One, in a literal term, it is a number. 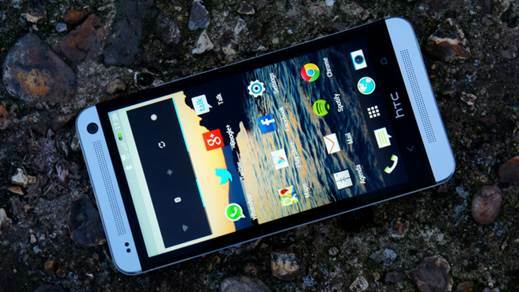 However, to HTC, it is a branding strategy - the foundation that the entire company is based on. Just look at the One series and you'll probably comprehend easily that this is the pride and boast of the manufacturer. There is a very good reason for that: in the cramped smartphone market, HTC is overshadowed by giant guys such as Samsung and Apple. The company needs to be prominent if it wants a chance to prove itself towards customers. The One X marked a steady start, and while it did not get the momentum CEO Peter Chou would have desired, the next model - simply called the One – raise the ability to design and take photos of the HTC up to the next level by releasing a new UltraPixel camera sensor, among other top-leading specs. But has it attracted the eyes of potential smartphone customers, with another important product launch? We think that it has received more than a fighting chance. To fully appreciate the One’s hardware, you first need to understand the process that takes place behind the scenes. Rather than choose a polycarbonate shell used on the One X and One X+, HTC crafted the One from a unique block of anodized aluminum, decorated with polycarbonate accents throughout. It is extremely complicated: each unit must spend at least 200 minutes cut by the CNC machine, and the aluminum is etched into the channels filled with polycarbonate - a technique known as zero-gap injection molding. Adding the delicate edges that connect the sides of the phone to the glass (Gorilla Glass 2, to be specific); and you have a phone with one of the best industrial designs we have ever seen. The volume of detail is amazing here, and it reflects how important this device is to the future of HTC. 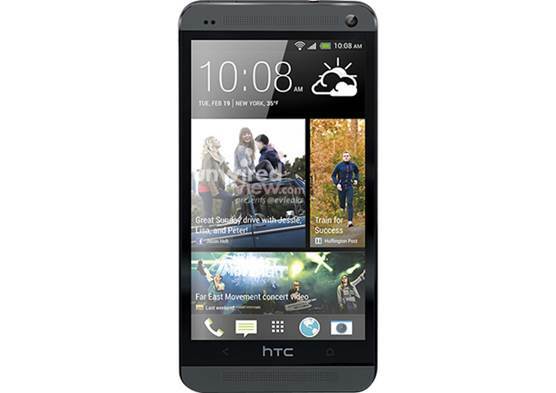 HTC crafted the One from a unique block of anodized aluminum, decorated with polycarbonate accents throughout. It is much like the Windows Phone 8X and Droid DNA (internationally known as the Buttefly); the One’s inside is set up like the pyramid: the larger components such as screen and battery lie in the front, with progressively smaller components when you move towards the back of the device. This helps to create the rear shell a beautiful curve that makes it extremely comfortable to hold. Although the One is even thinner with 9.3mm (0:37 inches) than the 10mm (0.4 inch) of 8X, it is easier to hold since the edges are bordered in the natural way. With 5:04 ounces (143g), it feels a bit heavier, but lighter than what you may have thought, it's actually quite light based on the materials used. The One’s inside is set up like the pyramid: the larger components such as screen and battery lie in the front, with progressively smaller components when you move towards the back of the device. This helps to create the rear shell a beautiful curve that makes it extremely comfortable to hold. After all, we love the design of the One for every reason: it's attractive, it feels certain in the hand and the combination of monolithic aluminum and polycarbonate makes sure that your phone will not be broken into a million pieces if it is dropped down the ground (although it may be dinged, or scratched up a little, depending on the angle). The aluminum strips are arranged the top and bottom of the phone’s surface, with a set of BoomSound speaker grilles that are designed to provide stereo sound when you're watching movies or listening to music. While industrial design, safety and performance and build quality are a good start, there are many other things about this thin aluminum plate. The front of the device is where some of the biggest changes stay, highlighted by a 4.7-inch S-LCD3 screen with 1080p resolution and two capacitive soft keys underneath it - a deviation from the standard three-button setup. 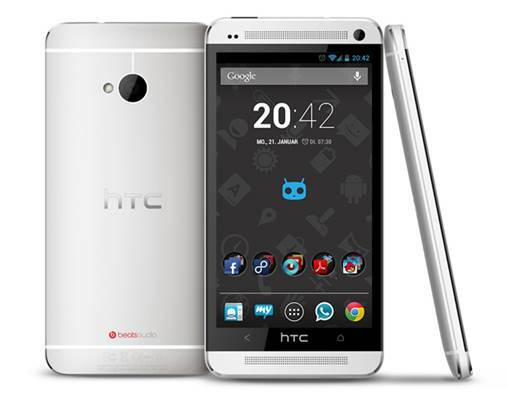 A small HTC logo is located where the home button was once, right between the two soft keys. In fact, it's almost a bit disappointing: the logo looks as if it would take charge of the role of the button (we would enjoy it more), but unfortunately there is nothing else to hit our eyes. The aluminum strips are arranged the top and bottom of the phone’s surface, with a set of BoomSound speaker grilles that are designed to provide stereo sound when you're watching movies or listening to music. (The grille setup is like what you'll see the two sides of a laptop keyboard). An LED notification light sits under the top grille, towards the left. A 2.1MP wide-angle, front–facing camera is located in the top right corner, while the two sensors are located on the upper left. 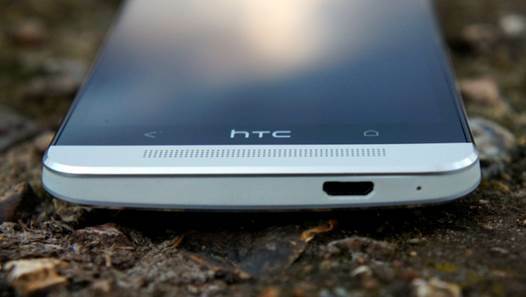 A small HTC logo is located where the home button was once, right between the two soft keys. In fact, it's almost a bit disappointing: the logo looks as if it would take charge of the role of the button. The front is the most crowded place on the phone, while the sides and back have a more minimal build that helps to make the phone look elegant. The polycarbonate-bordered sides tilt inward until they meet the Gorilla Glass on the front, with only a bezel to connect them. The left side is not interrupted, except for a micro-SIM tray and small ejection port. A micro-USB/MHL port and mic lie on the bottom, and the right side is occupied by a unique volume rocker which uses the exterior shell similar to the Droid DNA. The polycarbonate-bordered sides tilt inward until they meet the Gorilla Glass on the front, with only a bezel to connect them.